The already volatile rand dipped to R13.74 to the US dollar on the news. On Monday ratings agency S&P Global Ratings downgraded South Africa to sub-investment grade. and said a massive Cabinet reshuffle shortly after midnight on Friday has put policy continuity at risk. The agency cited President Jacob Zuma's recent shock Cabinet reshuffle last week for putting policy continuity at risk, Fin24 reports. S&P said by way of explanation, “We assess that contingent liabilities to the state are rising.” "The downgrade reflects our view that the divisions in the ANC-led government that have led to changes in the executive leadership, including the finance minister, have put policy continuity at risk. "In our view, higher risks of budgetary slippage will also put upward pressure on South Africa's cost of capital, further dampening already-modest growth." 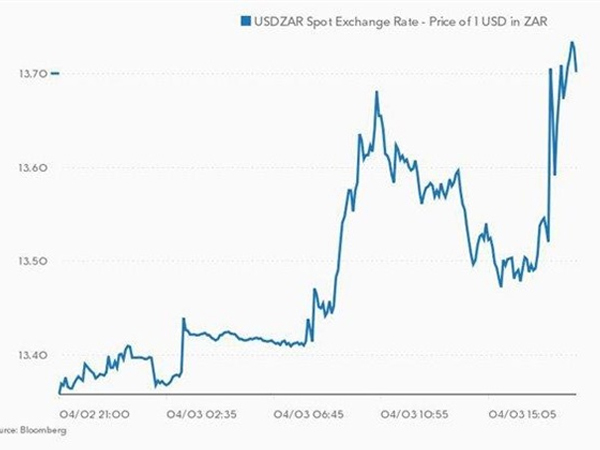 Associate professor of Economics at Wits University Chris Malikane told TimesLive the average South African will not be much affected in the short-term." But former public protector Thuli Madonsela was quick to reassure them that all was not lost.